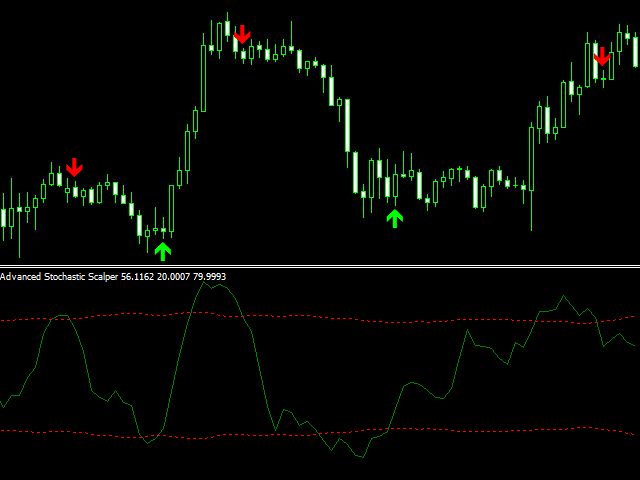 Advanced Stochastic Scalper Free is a professional indicator based on the popular Stochastic Oscillator. This product is an oscillator with dynamic overbought and oversold levels, while in the standard Stochastic Oscillator, these levels are static and do not change. 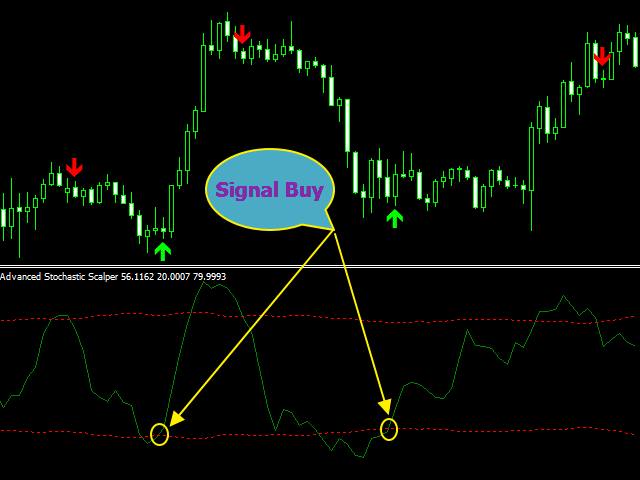 This allows Advanced Stochastic Scalper Free to adapt to the ever-changing market. K - Stochastic setting. Period for calculating the Stochastic %K line. D - Stochastic setting. Averaging period for calculating the %D line. Slowing - Stochastic setting. Slowing value. Method - moving average calculation method. 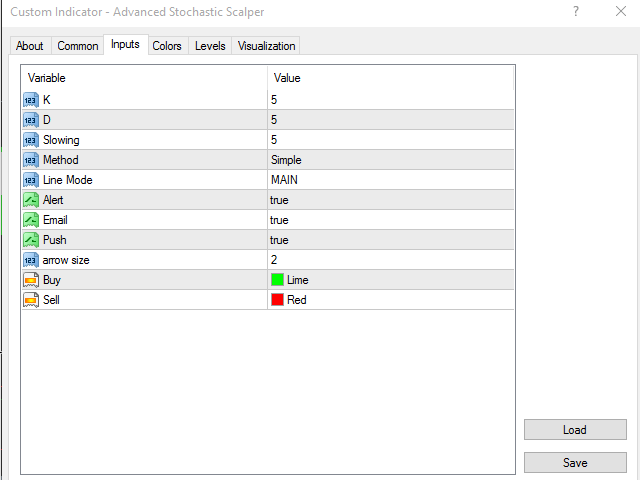 The following options are available: 1-Simple, 2-Exponential, 3-Smoothed, 4-Linear Weighted. 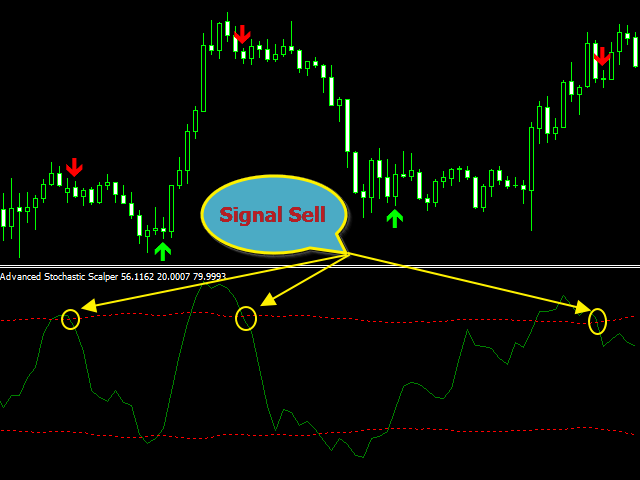 Line Mode – line to be used to plot the indicator: MAIN or SIGNAL. Definitely not a stand alone indicator, needs work! 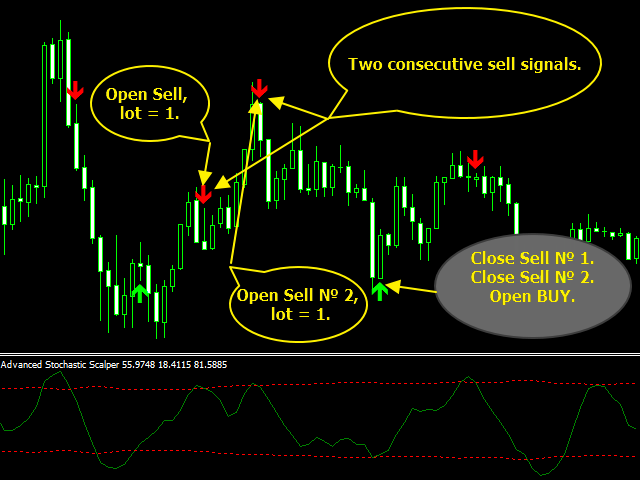 Excellent indicator for Forex trading. I will buy a paid version. New version: fixed bug with alert.